I was recently reviewing my web site and noted that there was no biographical information about me, Peter Gysegem. Sure, should anyone care, one can gain insights about me from reading my travel journals or articles but there is nothing written here that is really about me directly. Of course, this raises the question in my mind concerning what I should say about myself. I was born in 1950 I am of mixed European lineage, mostly from the British Isles and Belgium. Family legend has it that we are in the line of Mary Stuart (Mary, Queen of Scots) and her son James I of England on my mother's side. I have my doubts but it's an interesting notion. I suspect that if there is any relationship at all, it is a distant cousinship with the early Stuart clan. My father's family came from Pennsylvania where I was born and spent nearly the first four years of my life. Just before my fourth birthday, we moved to California. It is interesting to have that sharp demarcation of locales when I was so young because it lets me know about how old I was for some of my early memories. Also we moved twice that first year or so which also lets me date certain memories. I grew up in Arcadia, California, attended Rio Hondo elementary from kindergarten through the eight grade. I went on to Arroyo High School, then Rio Hondo College (no relationship to the elementary school) for two years then transferred to California State University at Los Angeles where I completed my formal education, obtaining a B.S. degree in Chemistry. I had a pretty normal childhood for the time but not by today's standards. I was active but was not involved in many structured extra-curricular activities. That meant that my time was mostly my own to plan and gave me plenty of opportunity to explore the local gravel pits and dry rivers we called, collectively, the wash. These were great places to play and I am saddened to see them today. The dry river wash is now a concrete flat-bottomed V about fifty yards across with no plants and few interesting features. 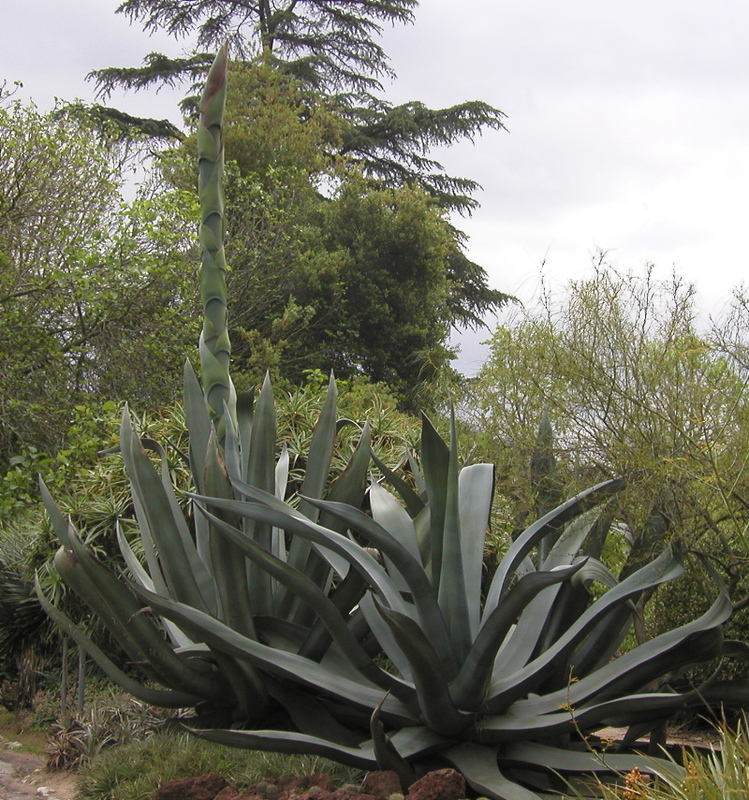 When I was young, it was sandy and there were hundreds, perhaps thousands of giant agave plants, both the blue-green (see photo on the left) and variegated yellow-green varieties. 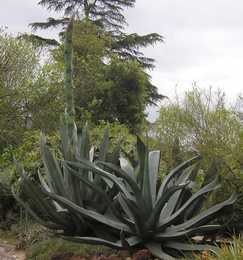 If you are not familiar with them they are like huge aloe vera plants with each of the leaves up to six feet long with deadly sharp spikes on the ends and sharp, saw-like edges. Each leaf could reach two to three inches thick and ten inches wide near the base. Lots of other plants were there as well such as castor bean plants that we were warned were poisonous. I only recently discovered that the poison is ricin, a potent cytotoxin which has been used in chemical/biological warfare. It's probably a good thing I didn't know about this when I was younger or I probably would have tried to extract it from the seeds and who knows what might have happened. I was always somewhat of a science nerd in school but I had a deep love of music in general and singing in particular. When it was time to choose a major, I struggled with the choice of music or chemistry. I chose chemistry for a variety of reasons, not least being that I didn't ever want music to become a job, rather something I did for the joy of it. I haven't regretted my decision. After college, in the summer of 1973, I attended the Clarion West science fiction writers workshop at the University of Washington in Seattle. This was a six-week summer program that was designed to hone our writing skills. Unfortunately, what was intended as peer criticism devolved into some rather vicious attacks on student's writing and I was turned off to writing for many years. I learned much later that the session I attended had earned a reputation for how badly it turned out. In the last week of the Clarion workshop, I got a telegram from a company that wanted me to work for them as a quality control chemist, a position I had held part-time while I was a student. I accepted and worked for them for a couple of years until I could no longer put up with the way they treated their employees. After a couple of months of job searching, I landed at Ameron in a newly formed corporate research division. We were tasked with coming up with new products, primarily in the area of high-performance industrial coatings (very expensive paints). It was interesting work and a great group of people to work with. I left in 1980 not because of the job but because I wanted to leave the Los Angeles area. I no longer wanted to put up with chest pain from breathing the smog, stress from hour-long commutes to and from work, and many other problems endemic to large population centers. In 1980, my wife and I moved to Oregon. 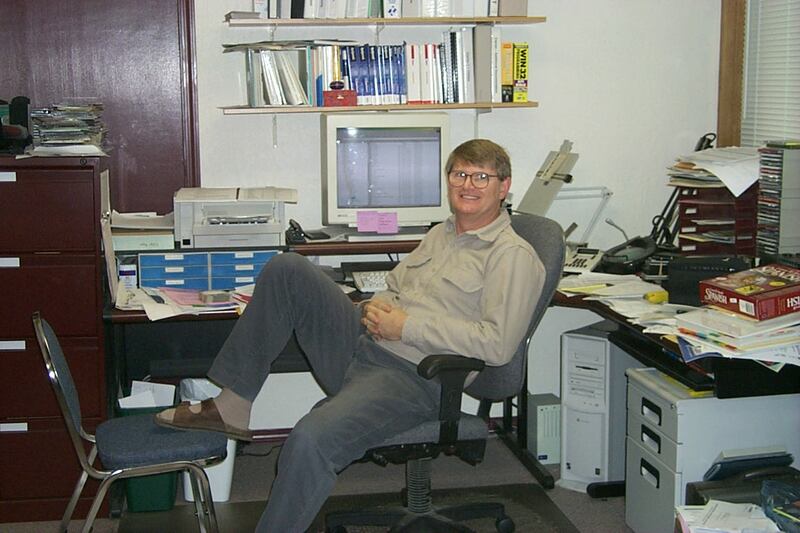 For a couple of years I did odd jobs and eventually went to work for Pacific Chemical company in Albany, Oregon doing research on producing pharmaceutical intermediates. I must say that it is a lot more fun working on research for more expensive products because cost does not limit the kinds of chemistry one can do. A regular paint chemist has to keep costs down to about $10 per gallon. The industrial coatings I worked on could be an order of magnitude more expensive at about $100 a gallon. In the pharmaceutical industry, we are talking about dollars per gram, which translates to about thousands of dollars per gallon. Alas, Pacific chemical was purchased by another company and they closed their Albany operation. I moved from there directly to MS Systems, a large local computer retailer. I started assembling customized PCs and doing technical support and installations. That transitioned to full time technical support and training. When MS Systems closed their doors around 1988, many customers I had been helping called to ask what they were to do. I had been doing some custom software on the side for a few years and decided it was time to hang up my shingle as an independent consultant and programmer. I initially called my company, Yarrow Data Systems. Yarrow is one of my middle names. Yes, I have four names: Albert Peter Yarrow Gysegem. About a year after starting YDS, a former MS Systems customer asked me to write a program for him. It was a patient and insurance billing program for mental health. He wanted to go into business selling the program to therapists. When he could not afford the price I quoted him, I suggested we form a partnership. I would write the software and he would sell it. It went well enough but eventually the partnership broke up due to "irreconcilable differences" and I bought him out. I later changed my company name to the name we had chosen for the partnership's business, Beaver Creek Software. My company is very successful and it is a place I enjoy coming to every day. My interest in singing began in earnest in the eighth grade. I was selected to sing in the district-wide chorus and loved it. I was also part of a small, select group of musicians from our glee club to participate in other extra-curricular music-related events. When the Arroyo high school choir came to our school for a concert, I was hooked. I wanted nothing more than to sing in that group. I learned everything I could about the choir and how to get into it but was terribly disappointed to learn that freshmen were not allowed in the group. I would have to sing in the Men's Glee Club for a year first. A couple of months into my freshman year, the director (K. Gene Simmonds) called me to the front of the room and had me sing some scales and some other things I cannot remember. He then asked if I would like to leave the Glee Club and sing in the choir. I was stunned but didn't hesitate. I just had to switch my P.E. class and I was in! As the only freshman in the choir, I felt somewhat out of place but I had a friend and neighbor who was there and he helped me get adjusted. I made other friends too and soon felt at home. In my high school, there was a select group of singers from the choir who were also in a group know simply as "Madrigals." This group met early in the morning before classes. Once I felt comfortable in choir, I asked the director whether I could sing in the Madrigals. He didn't say No (he didn't say Yes either but that was of little consequence), so I showed up at the next Madrigal rehearsal. He looked at me a little funny at first but gave me the music I needed and I was in. I guess he respected my initiative. Now I was really in my element. That year, the Madrigal singers joined the choir for the newly formed Rio Hondo College in a concert of Schubert's Mass in G, my first, and hence most beloved major work. I later sang with Mr. Simmonds for a couple of years in the Rio Hondo choir and in the Southern California Youth Chorale (SCYC). He was an outstanding and inspiring choral director and teacher and he had a very large influence on me and my music. In addition to learning music, many class hours with him were spent learning proper breath control and fundamental singing techniques. Simmonds left Arroyo for Rio Hondo college after my sophomore year and director Richard Kelly took over. His style was much different but he also had a lot to teach us and I enjoyed singing with him as well. I have sung with several choirs, notable among them SCYC, William Hall Chorale, Oh Que Chorale (Tom Schultz director) , Oregon State University Choir (under Ron Jeffers and Peter Jermihov), Merry Olde England, and the Corvallis Repertory Singers (under Steven Zielke). With SCYC, I traveled twice to Japan and to Hong Kong, Taiwan, and Hawaii. With the OSU Choir, I traveled to and sang in several countries in Europe. On the European tour with the OSU choir, we got to work with four excellent choral directors on the same piece of music: Bach's "Der Geist Hilft unser Schwachheit auf." First was our own conductor, Ron Jeffers. 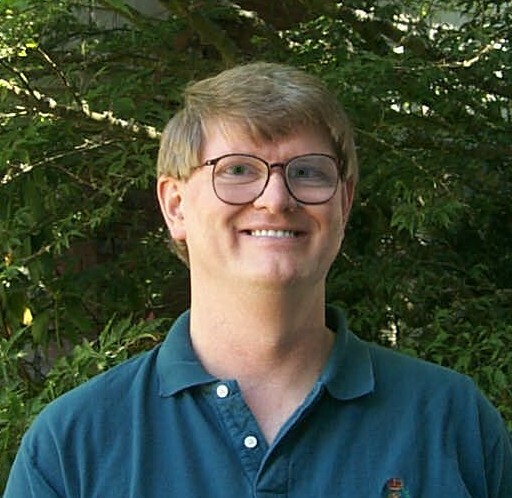 Next was Gil Seeley who was the director at Lewis and Clark college and the Oregon Repertory Singers. In Amsterdam, our choir and the Lewis and Clark choir got together at the Concertgebouw concert hall for a several-hour long workshop on the Bach piece with Eric Ericson, one of the world's foremost choral conductors. Later, in Germany (in Göttingen if my memory is correct), the two choirs again combined for a workshop on the Bach, this time with John Eliott Gardiner. The combined choirs then performed the piece in a church setting there. It was magnificent. I will always be grateful to Ron Jeffers for putting this all together. For several years, I sang with the Corvallis Repertory Singers. This is a terrific group whose cohort of singers change for every concert program depending on schedules and the appeal of the music to be performed. CRS was formed to function with a minimal rehearsal schedule; we commonly got five rehearsals before a concert though some larger works have needed a couple more. That means sight-reading like crazy and a lot of personal time working on the music. In 1975, I married Vicki Righettini, also an SCYC alumnus and a soprano to my tenor. 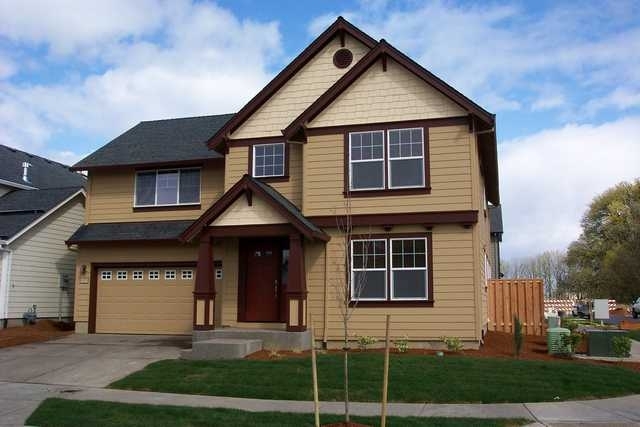 We moved to Oregon in 1980 with the idea of building a house in the country. We purchased a five-acre parcel and had made significant progress on the building when we divorced in 1984. Vicki also sang in the OSU choir and we were together for the European tour. I was single for about eight years but had one serious relationship during that time. Then, in 1991, I married Cuyla Shelton. She came with two children, Kacie and Kyle. The marriage lasted eight years but I am being generous to say that, in many ways it was really over after the first year. During our time together I got very close to Kacie and am sad that we are no longer in contact. I follow her career as much as I can through Google and social media. Upstairs I have a dance studio. It's 20'x22' and I have mirrors on one wall. I had originally thought to teach my tango classes there but the classes are open to anyone who shows up and I don't want to open my home to just anyone who decides to show up. I have had a couple of questionable folks wander into the classes at ArtCentric. My back yard garden is primarily a productive one with lots of fruits and vegetables. I have six fruit trees, seven blueberry bushes, cane berries, and strawberries. The vegetables are, of course, perennial and they come and go. It's another work in progress. The last several years I have done a lot of traveling. You can read about my adventures in the Travel Section on this site. As I write this (April 2007), I have plans for another trip to Thailand this spring and one to Argentina this fall. My cat, Cherry, is a calico princess. Her mother, Sydney the Wonder Cat, was a feral stray who decided that getting food from people was easier than hunting so she had her litter of kittens in our wood pile. When we noticed that Sydney was a lactating mother, we (my ex and I) lured her into the house and closed the door behind her. 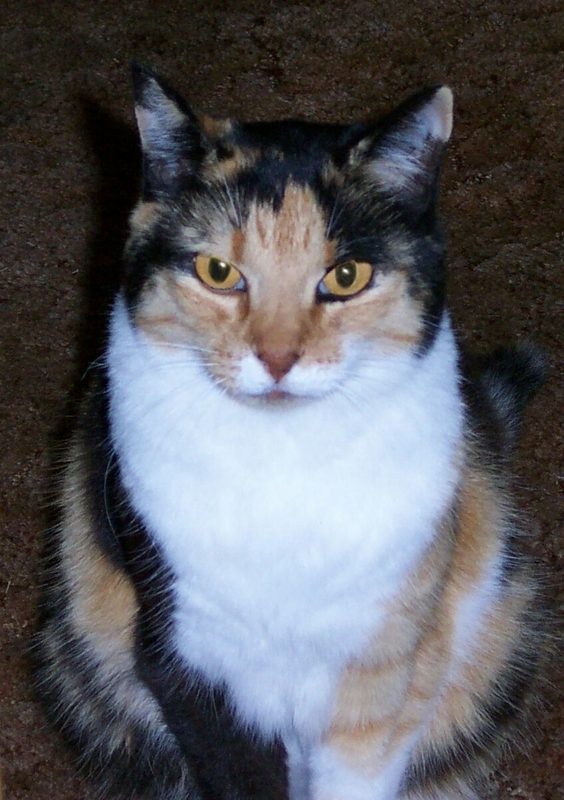 We then brought in the four kittens, the boldest of which was this tiny calico later named Cherryh (after the brilliant science fiction author C.J. Cherryh). Her name was subsequently shortened to Cherry. Sydney spent most of her first day in our house in my arms, not wanting to be put down the entire day. We found homes for the other kittens and Cherry attached herself to me. I was working out of my home office at the time and Cherry spent many hours of most days curled up on my lap as I worked. I adopted the practice of stretching a towel across my lap and tucking it around my legs so that she didn't fall through (and try to hang on with claws). For some reason known only to her, she would not sit on my or anyone else's lap at any other time. A while back, I was in my home office doing some home office stuff and she started walking around me crying and looking like she wanted to jump up so I put a towel on my lap and she popped up within seconds. My lap became her favorite place to be whenever I worked in the office. I loved having her there. Cherry left this mortal plane a couple of years ago and I miss her terribly. I haven't, and won't get another cat because I plan to do a lot more travelling and perhaps even retire abroad. Extended trips away are too hard on the little creatures we keep around us.